While it's great to have brewers like New Planet, Glutenberg and Green's craft entire lines of gluten-free beers, there are also some excellent stand-alone varieties. For this month's column, I took on the enviable task of sampling several of them. 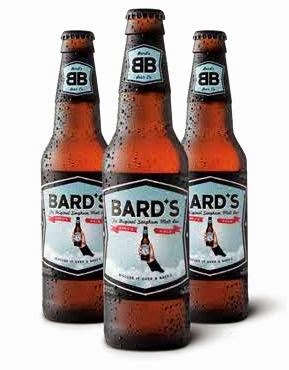 Bard's (4.6% ABV): Bard's sets its self apart from other gluten-free beers by malting sorghum in its recipe just like barley is malted in traditional beer. In fact, it's the only beer that is brewed with 100% malted gluten-free sorghum. The result is an ale that has the flavor, aroma and color of a gluten-full beer. If you avoid gluten and miss a "beery" tasting beer, give this one a try. Its clean, refreshing finish will be welcome at any BBQ or tailgate. 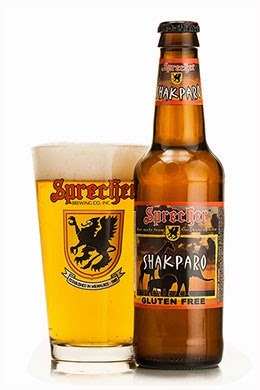 Shakparo (5.7% ABV): Originally, this Sprecher Brewing Company ale brewed in the West African tradition used non-gluten-free sorghum. After numerous requests, the brewmaster retooled the recipe to produce the current gluten-free brew. Flavors of apple, banana, and mild spices give this unfiltered beer a truly unique taste. Try this if you are feeling adventurous. I enjoyed Shakparo with a slice of pumpkin pie and it would pair well with any fruit-based dessert. Milwaukee-based Sprecher also offers Mbege, another gluten-free session ale in which bananas are the main ingredient. New Grist (5.1% ABV): This gluten-free offering from Milwaukee's Lakefront Brewery uses tart apple flavors to balance the fruity sorghum flavor. Light and crisp, it best resembles a pilsner-style lager. 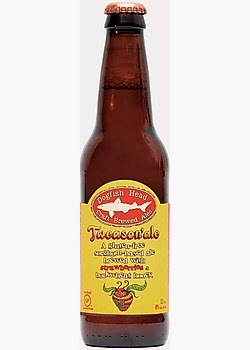 You can enjoy this thirst-quenching brew outside in warm weather or with spicy gluten-free staples like Mexican or Thai cuisine. Like Tweason'ale, New Grist is certified by the Gluten-Free Certification Organization. Redbridge (4.0% ABV): As a craft beer enthusiast, I avoided trying Anheuser-Busch's Redbridge for a while as I anticipated a brew on par with Bud Light. I was surprised to find a sweetness followed by a bit of hop flavor - certainly much more interesting than its light beer cousin. I brought a case to a Penn State tailgate last season and was surprised to find that many people not only tried Redbridge, but enjoyed it. The strong sweetness of this beer is best paired with hearty soups and stews.